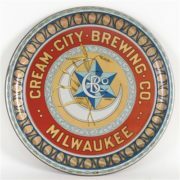 This is a beer serving tray from the Capital Brewing Company, based in Jefferson City, MO, 1940. 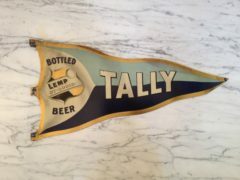 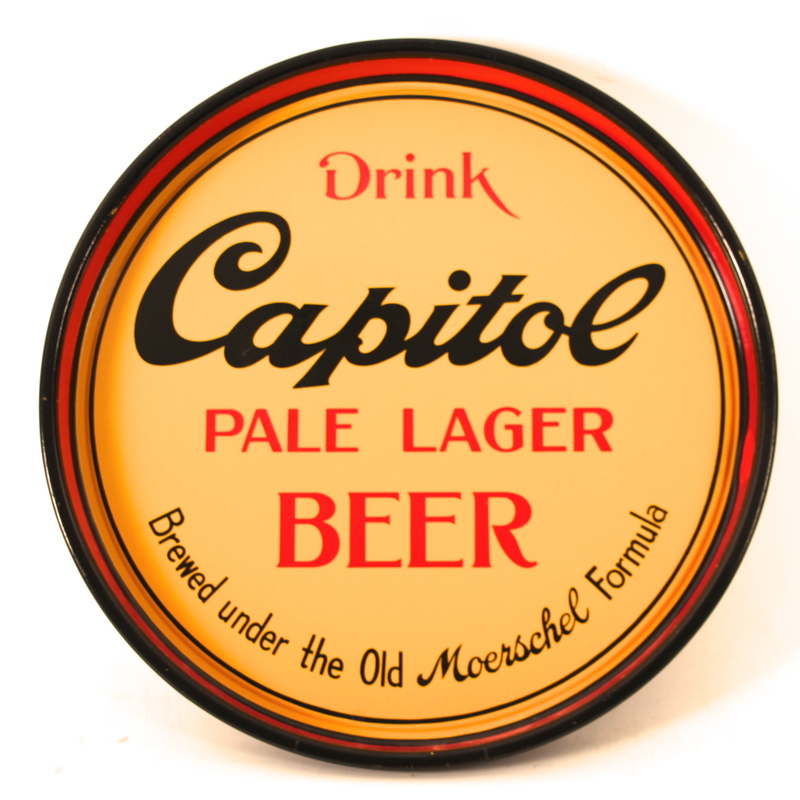 The tray touts their Capital Lager Beer was “Brewed under the Old Moerschel Formula”. 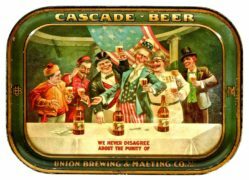 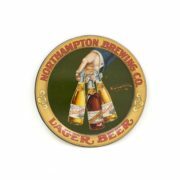 The Capital Brewing Company was formed in 1892 by Jacob F. Moerschel and his two brothers who purchased the former Wagner Brewery on Dunklin Street in downtown Jefferson City. 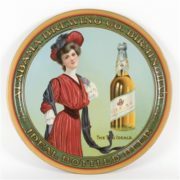 The Moerschel family later purchased the Coca-Cola franchise in Jefferson City in 1902 and began producing the soda in the same brewery building along with the beer. 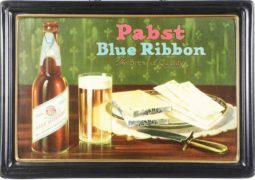 This arrangement served them well through Prohibition when beer production was banned. 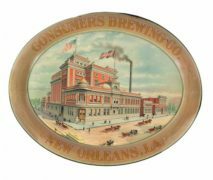 However, in 1939 after prohibition ended, the family was required to build a separate building for their Coca-Cola production due to concerns about the yeast contaminating the soda product. 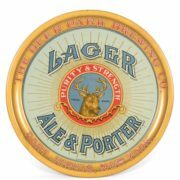 Today a beautiful art deco building stands across the alley from the former brewery building location. 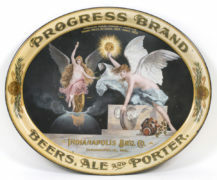 The Moerschel family also owned breweries in nearby Sedalia, MO and in St. Charles, MO.